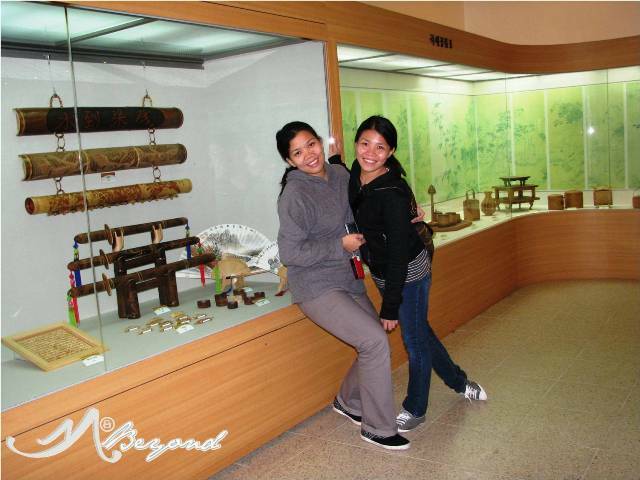 From Anyang, we took a bus bound to Jeongeup for our Naejangsan Mountain adventure. 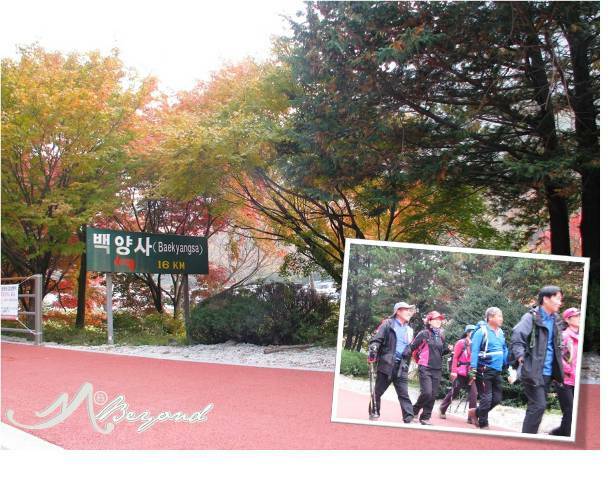 We were supposed to take another bus to Naejangsan Park entrance where we would commence our trek. But my sisters’ boss hailed a cab and it brought us all the way to the Forest Museum passing by trekkers along the trail. 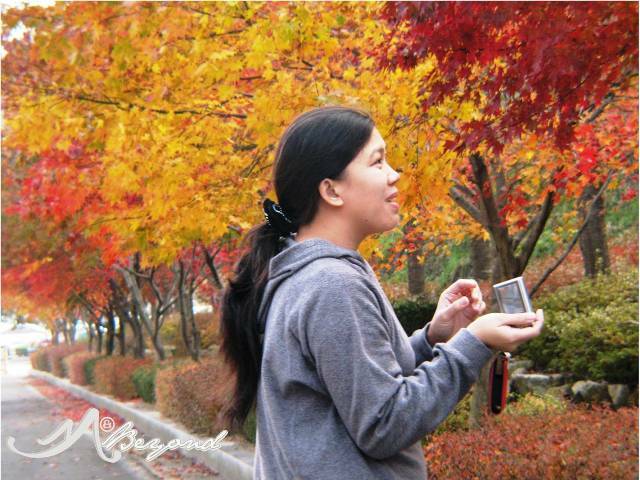 From Visit Korea: Naejangsan is a famous mountain in the Jeolla-do province, and the best mountain in Korea for viewing autumn’s crimson leaves. The park is 76,032 sq. km. 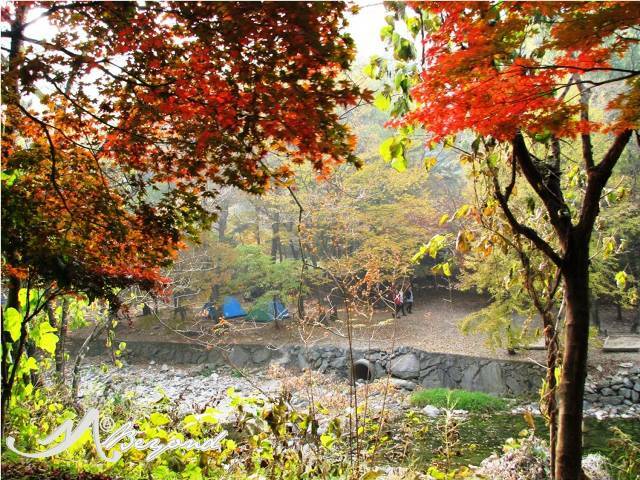 in size and became a National Park along with Baekyangsa District on Nov. 17th, 1971. 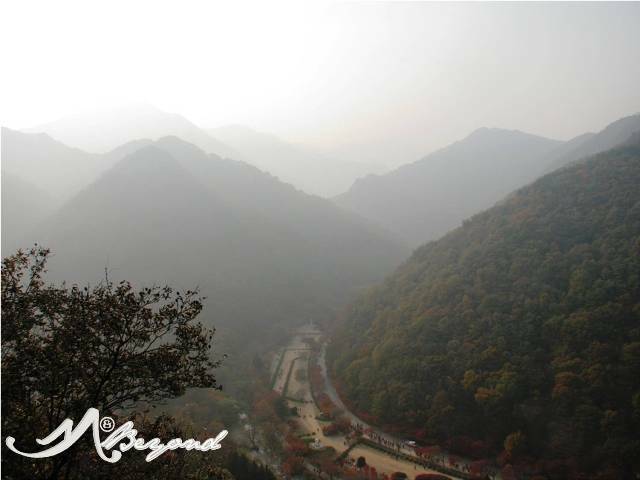 The name Naejang means 'many secrets' in the mountain. 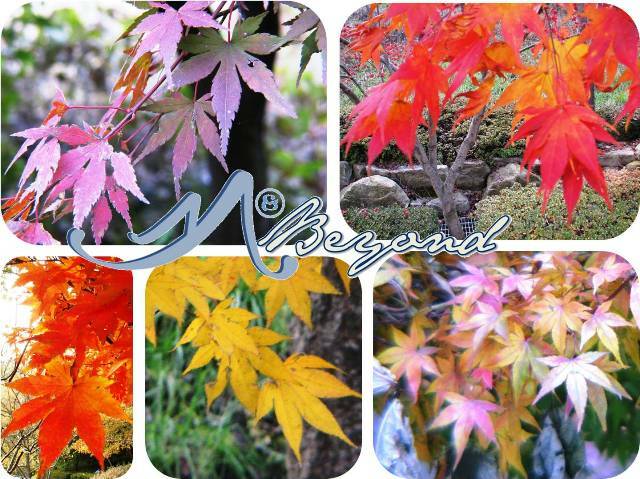 Because of the bright crimson leaves that blanket Naejangsan Mountain’s fall scenery. 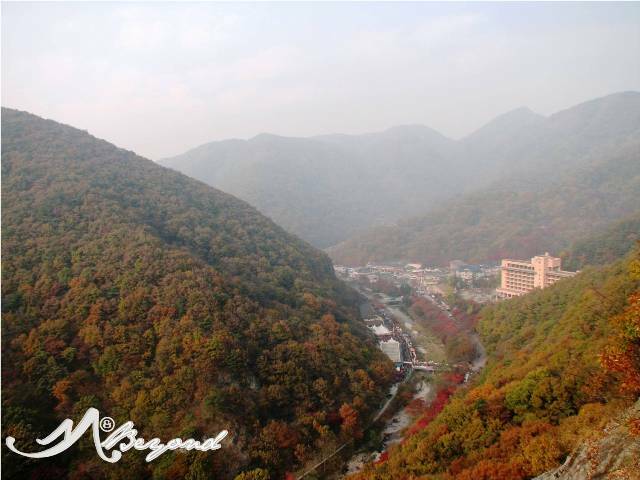 The mountain is also referred to as "Geumgangsan of Honam." 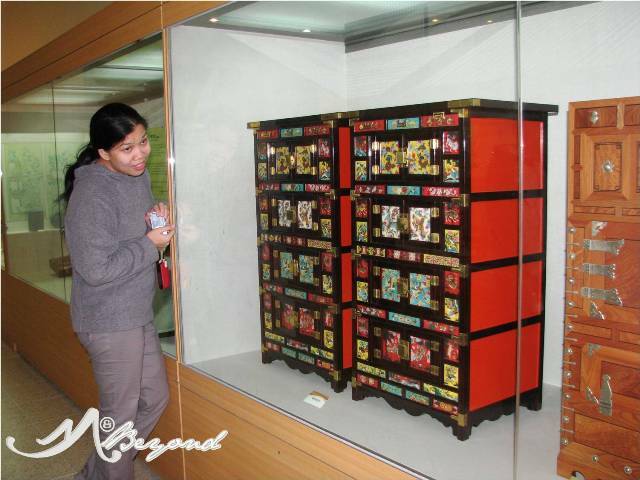 Before we reached the Museum located at one of the peaks of Naejangsan ranges, we stopped for a breathtaking view of the valley with a bedspread of leaves of different motifs. The surrounding gray-subdued ranges enclosing the valley supplemented the awesome landscape. The chilly atmosphere was another factor for the indubitably paradise-like beauty. Then at the top, the crimson lined street and pine trees of different variants filled my eyes with overflowing delight and it was indeed too much to handle. In as much as I wanted to stop, have my eyes closed, imagine its wholeness then memorize the entire scene… I was ashamed to do so.. maybe next time… maybe next time. 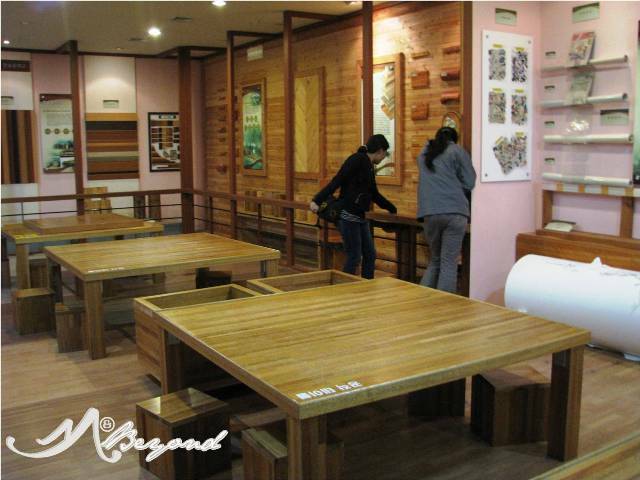 The museum at Naejangsan featured mostly tree-related products like the different wood variants, papers, wooden instruments and household ornaments but it also has a display of different kind of stones/rocks. 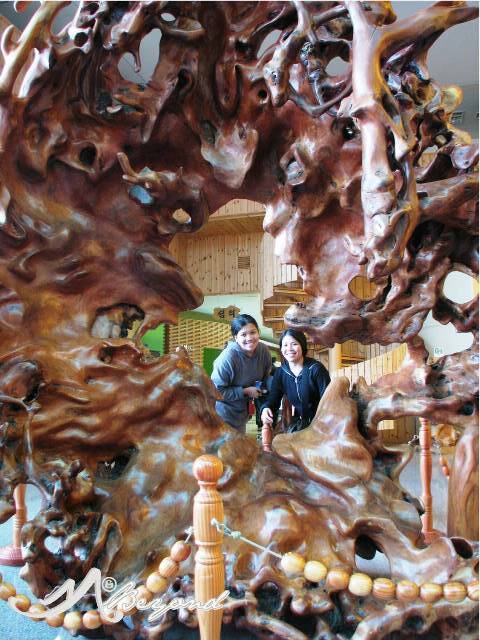 At the entrance, we were welcomed by a huge uprooted shape representing the root-part of a tree. 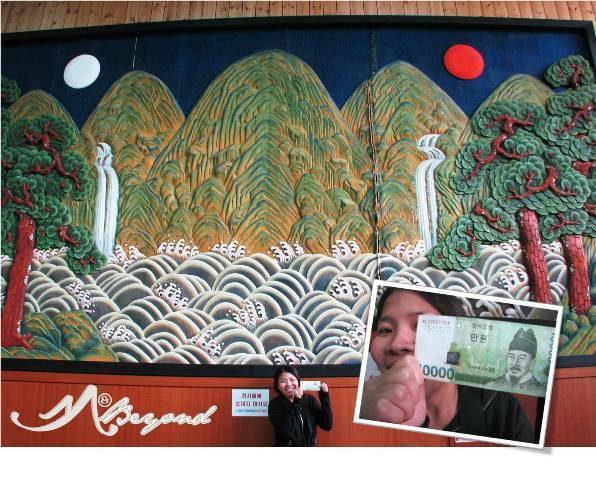 It also houses a big Irworobongdo folding painting, the same art found in South Korea’s 10000 bills. From DramaHaven: Irworobongdo or Irwolgonnyundo (Painting of the Sun, Moon and the Five Peaks), a highly stylized landscape painting of a sun and moon, five peaks together with lake and waterfalls which in between always was set behind Eojwa, the king’s royal phoenix throne during the Joseon Dynasty. It was 4pm when we left the museum and this time, we trekked our way down. After the valley where we had our late lunch, we chose the trail by the river. We passed by several campers with tents up for an overnight stay. For other tourists, hotel and hostels are available in the area. For availability and rates, check out this link. 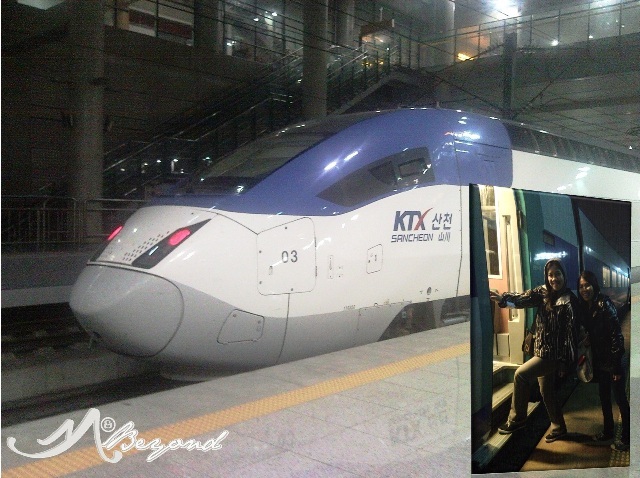 Then at the park entrance, we joined a swarmed bus bound to Jeongeup for our 7:30pm KTX bullet train ride. The unexpected ride was another experience that made the trip more memorable. 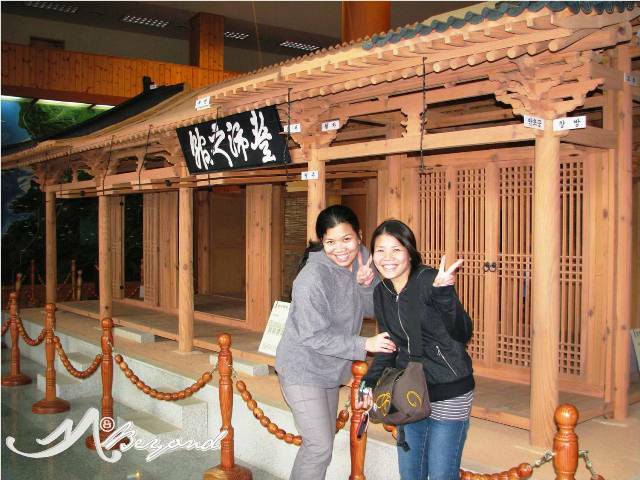 And more… sister brought me to a bathhouse where we stayed for the night. It was my first to try a public bath that required everyone to be fully dressed out. Thankfully, cameras are not allowed inside. The sauna area is composed of several igloo type cabins of different degrees. I tried the hottest and yes it resembled the hotness of a boiling water and I only lasted for 3 minutes. Gender segregation is strictly implemented in the Jacuzzi area but at the sleeping hall, couples are allowed to join each other. For our sleep, we grabbed a sleeping pad and found a small haven for the night. It was a day beyond expectation and a travel spent best. 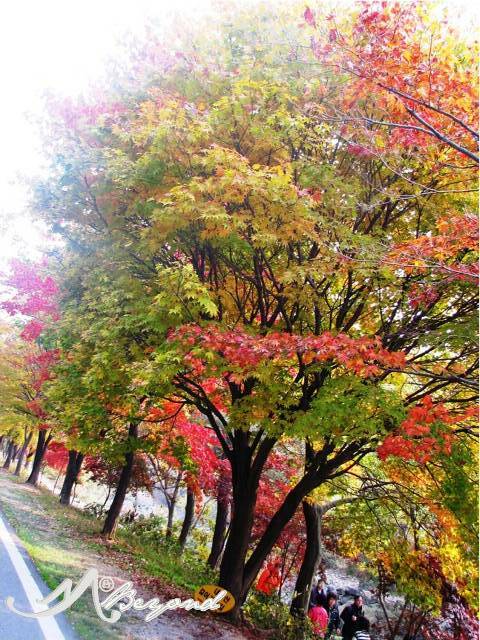 For more of Jjimjilbang, visit Seoul Korea on Facebook..
south korea also has 4 seasons. if you like autumn - early november is best to catch the falling leaves, then winter - january is best but for cherry blossoms, i think early april is best. we visited the mountain on november 6. Awesome! 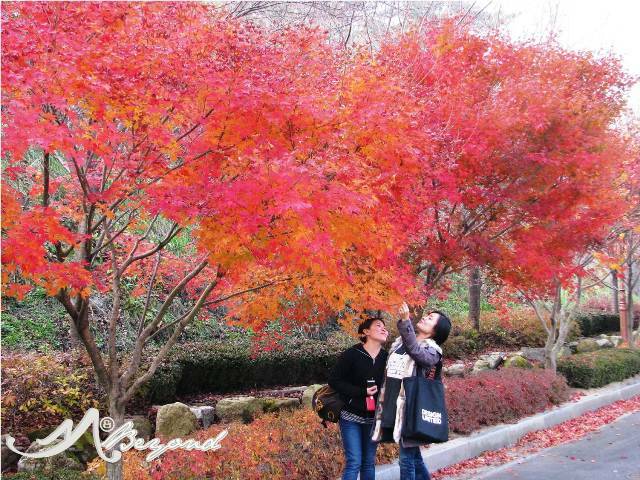 You experienced Seoul during autumn!